If you or someone you love has been injured in a motorcycle accident it is important that you get legal advice immediately. In most cases, motorcycle accidents are not the fault of the motorcyclist. In addition, motorcycle accident most often cause serious injury or even death. Immediately after the accident the insurance company will assign a team of their professionals to deny or reduce the amount of your claim. Don’t you think you should contact an experienced law firm to get the legal advice you need to answer your questions and explain your options. 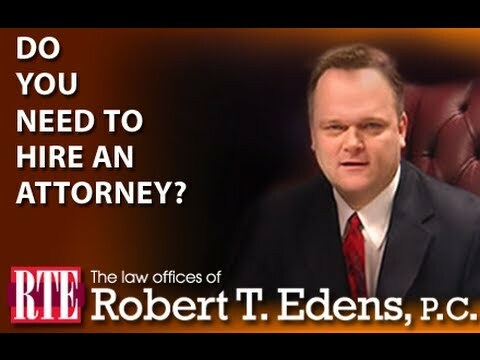 Call The Law Offices of Robert T. Edens TODAY for your FREE consultation. The phone call is FREE, the advice may be priceless! Bob has been recognized as a TOP attorney in Illinois. This is because of his dedication to providing his clients with superior personalized legal services. Bob’s dedication to this mission can be seen in his work over the last 20 years. In order to provide SUPERIOR legal advice, Bob has personally written this website with his staff. None of it was farmed off to an outside web development firm. In addition, Bob has written three books to help people who have been injured by the negligence of others. 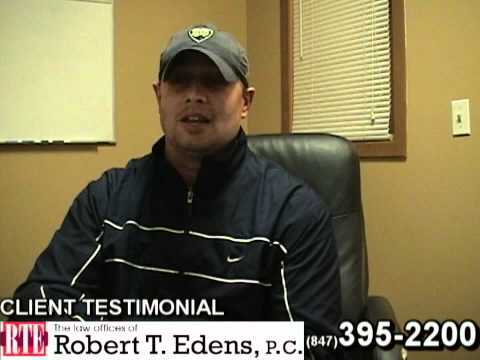 The fact that Bob provides his clients with PERSONAL SERVICES can only be seen by viewing the manyvideo testimonials of clients that have used Bob’s services. There are roughly 4500 motorcycle fatalities annually with 125 bike accidents in Illinois. Illinois motorcycle accidents numbered 3846 in 2009 – the most recent reports available. 14.3% of all IL fatalities are caused by motorcycle accidents. Motorcyclists are 39% more likely to die in an accident then in those in passenger cars. Fifty percent of all motorcycle accidents in Illinois occur when the cycle is heading straight. 35 % of all motorcycle fatalities are wholly, or in part, a result, of speeding. When you, or a loved one, have been in a motorcycle accident with injuries it can be a very difficult and scary time for you and your family. Your main focus will be on healing and returning to your normal routine but concerns over medical bills, inability to return to work, fear of driving among other things can delay recovery of your motorcycle crash injuries causing more worries. If you have been involved in a motorcycle accident you may have an auto-accident claim, a personal injury claim or both. 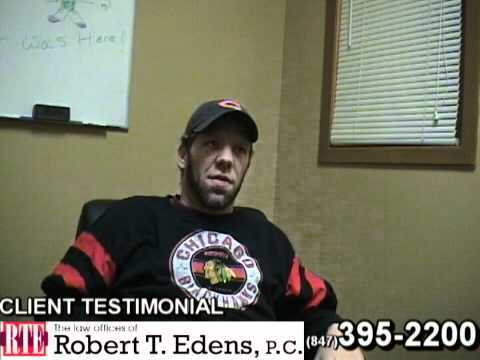 Grayslake, Illinois motorcycle accident attorney, Bob Edens, will resolve your claim quickly, in addition to getting you a fair settlement for your personal and physical injuries. Motorcyclists are in jeopardy of severe injuries due to the exposure they are subject to on the Illinois roadways. Road accidents, including motorcycle accidents, are often the result of negligence. Bikers are predisposed to accidents because they are typically overlooked by other drivers due to their small size. Injuries are often serious, life threatening, long-lasting and can be emotionally debilitating. There are Illinois motorcycle accident laws, so if you are involved in a motorcycle collision it is a good idea to contact a motorcycle accident lawyer with experience in this area of practice. The Law Offices of Robert T. Edens can properly advise you and ensure your rights are not violated by the insurance company. What if there were no witnesses? The “Statute of Limitations” (SOL) is a law that sets a strict time limit on when a legal claim or action may be commenced. After the SOL has expired, the legal action (lawsuit) is forever barred. In the state of Illinois the SOL for most types of personal injury cases, including motorcycle accident, is two years from the date of the accident.However, in the case of a minor (under 18 years of age) victim the SOL does not expire until the victim’s 20th birthday. Even if the SOL will not expire for a long time, you should immediately consult with an experienced motorcycle accident lawyer to make sure they have adequate time to prepare for your case. DO NOT WAIT TO CONSULT WITH OR HIRE AN ATTORNEY. In many cases a motorcycle accident lawyer who is hired early in the litigation process can help you avoid costly mistakes that may harm your case. 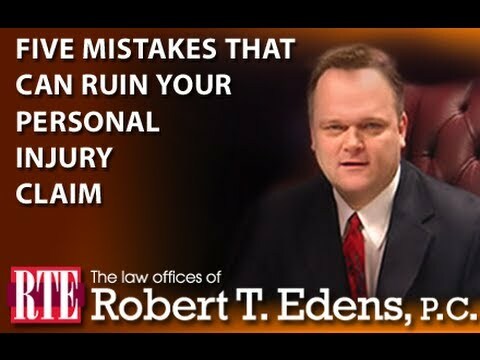 Contact attorney Robert Edens to protect and maximize the value of your claim and increase the odds of a favorable outcome.